Pay less for college with our completely FREE college planning services! As a non-profit institution, our college planning services are available to you free of cost as you plan for college. We will help you qualify for more in grants, scholarships and financial aid so you pay as little as possible for your education. We understand that the financial aid process can be intimidating and overwhelming — which is why our goal is to guide you through the entire process, from planning to loan repayment, and to help you pay for college without sacrificing your own financial goals. To help you get a better understanding of what to expect from our college planning services, here’s what you can expect from our first few meetings. We will create a college planning report for you. This will estimate your current estimated financial contribution (EFC) and identify everything you can do to reduce your EFC as much as possible — which will increase the amount of financial aid you qualify for. We will sit down with you and analyze your report and school choices. This will give you a clear picture of how much financial aid you can expect from each school and what type of financial aid packages they offer. We will provide you with an answer key for your FAFSA and CSS Profile forms. This will help you avoid any costly mistakes when completing these all-important financial aid forms. 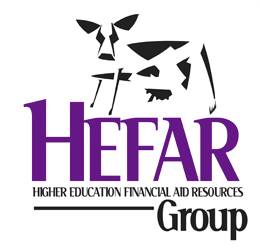 If additional financial aid is needed, we can help you take all of the steps necessary to secure additional funding. So don’t try to get through the college planning process on your own and risk costly mistakes. We are the authority on financial aid planning and can guide you through it. Call today to meet with a college planning specialist and take advantage of our FREE college planning services!